Warren Buffett seems to have gotten over his longtime reticence to invest in technology companies. First today, he disclosed in an extended interview with CNBC that he had just become IBM’s largest shareholder. Now, according to new filings from his company, Berkshire Hathaway, he’s also just acquired a stake in the chipmaker Intel. The 13-F filing, which hit the SEC Web site just a few minutes ago, shows that Berkshire has acquired 9.3 million shares in Intel, worth about $200 million. It’s not a sizable stake, amounting to about one-fifth of one percent of the 5.1 billion shares that Intel has outstanding. 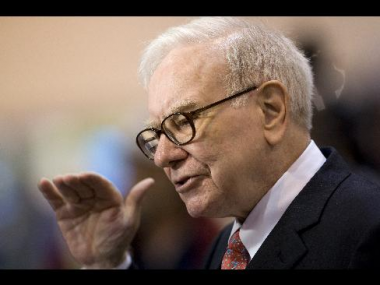 At that figure, Buffett’s firm would have paid an average price per share of $21.34. With Intel shares currently trading at $24.63 a share, the stake is now worth about $230 million. While his IBM stake, which amounts to about 5.5 percent of the shares outstanding, appears to eclipse that of State Street, the investment house, Buffett’s position in Intel doesn’t even come close to that of the company’s institutional investors. State Street is again the biggest Intel shareholder of record, holding about 4 percent of the company’s outstanding shares, followed by Vanguard and Blackrock. But Buffett has more skin in the game than does Intel CEO Paul Otellini, who as of the end of October had 397,000 shares worth an estimated $9.8 million. I talked about Buffett’s investment in IBM today on The Wall Street Journal’s daily afternoon tech show, Digits. It’s below.